Kerry is a Research Associate. Her main job is to give the boss grief. 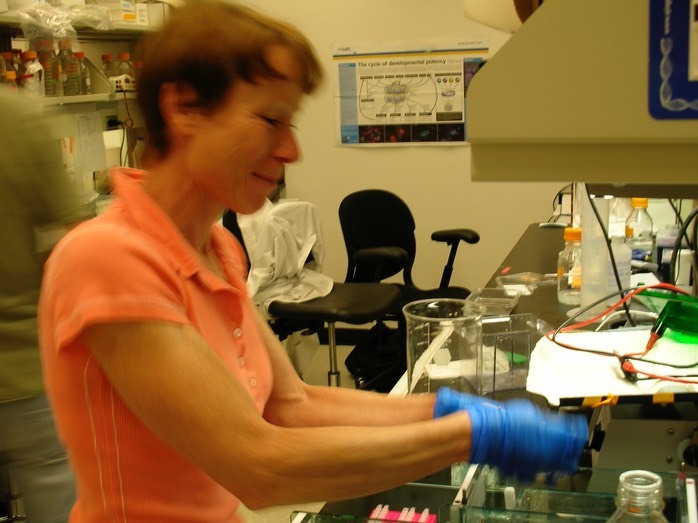 Otherwise, she works on various projects, primarily related to genetics of infertility. The pic is blurry because she never stays still.